This luxurious, professionally decorated 5 bedroom Kiawah Island vacation rental, located at 20 Marsh Cottage Lane, boasts a private pool, overlooks the marsh, and is a seven minute walk to the beach. The home features over 3,500 square feet of beautiful indoor and outdoor space for relaxing and entertaining. The living room features a comfortable sofa and four cozy chairs, large flat-screen TV, DVD and Blu-ray players, and access to the screened porch. The light-filled dining area offers a long table with seating for ten. The stunning gourmet kitchen showcases marble countertops, large island with bar seating for four, Subzero refrigerator, Wolf oven, microwave, and gas range, a wine refrigerator, and access to the deck and pool. The first floor offers three bedrooms, including two master suites. The first master suite is located in the wing off the living and dining areas. It features a king bed, chaise lounge, flat-screen TV, private deck overlooking the marsh, and bathroom with two vanities, soaking tub, and shower. The second master suite is located in the wing off the kitchen. It offers a king bed, two cozy chairs, wall-mounted flat-screen TV, access to the pool deck, and bathroom with shower. A queen bedroom, also located in the wing off the kitchen, features a flat-screen TV, DVD player, access to the pool deck, and bathroom with shower/tub combination. 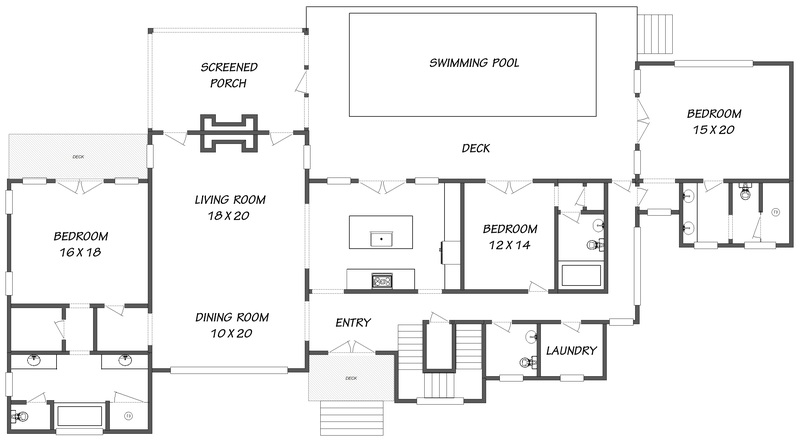 A half bathroom and laundry room complete the first floor. 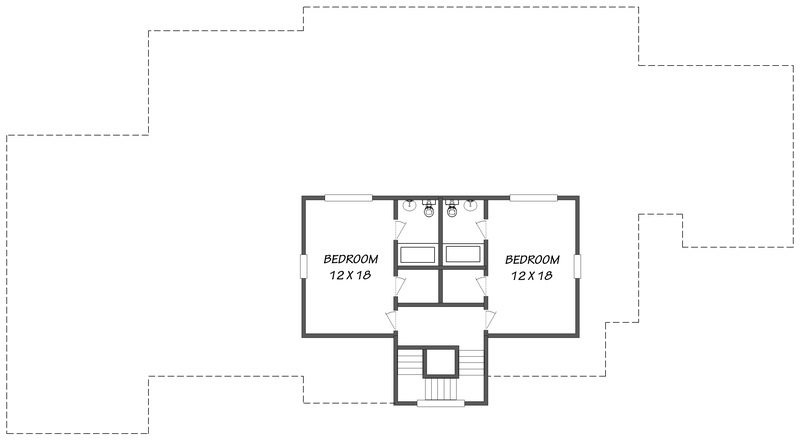 The second floor offers two additional bedrooms. One bedroom offers two queen beds, flat-screen TV, and bathroom with shower/tub combination. The other bedroom features two sets of bunk beds (offering four twin beds), two cozy chairs for reading, watching the wall-mounted flat-screen TV, or listening to your music on the iPOD dock, and a bathroom with shower/tub combination. The home’s incredible outdoor space allows plenty of room for everyone to relax and absorb the peaceful views. The home’s private pool, which spans the width of the deck, overlooks the tranquil marshes of Kiawah. (The pool can be heated in the cooler months for an additional $75 per day.) The pool is approximately 37ft x 13ft. The deck offers four lounge chairs, a table with seating for six, and a gas grill. The screened porch, also accessible from the living room, features a cozy floating sofa and two comfortable chairs. The home is furnished with washer, dryer, and high speed wireless internet. We stayed for two weeks and had one family down for a week, another for the following week and lots of family and friends on the middle weekend. The house could comortably accommodate us all with two masters and 3 other bedrooms with varying bed sizes that made it flexible for all types of friends and family. The kitchen is nice but small, well appointed with dishes and glassware but little to no cabinet space for food. Akers Ellis was there to welcome us, their app made check in a breeze, if we had any issues or concerns they answered them immediately-it was a great stay without hiccups! The pool off the kitchen was a favorite for the kids and parents because it was easy to keep an eye on them. House was conveniently located near the fire station and Governors/Flyway. The home was nicely decorated and the kitchen was well equipped. The screened in patio is a great area of the home and we got great use of the pool in the backyard. The private pool is a nice size as compared to others on the island. We would not hesitate to come back to this home. Delightful home for a large family to have time together and still room for quiet retreat when needed...beautifully furnished. The home lives well for toddlers, teens, and adults alike! Most enjoyable, had a great time. We loved our stay at 20 Marsh Cottage. It is close to the beach access, golfing, and in a perfect spot for biking to Ocean Park. The home was spotless and well appointed. Very good. The property was not as clean as I expected particularly on the outside. Trash from the storm. Had some issues with cockroaches in a couple of bedrooms. Stall was helpful. Overall a very good experience. Thank you for your response, we appreciate it. Storm clean up has been a slow process and the Island is still working hard to get it back to normal. We certainly do apologize if there any cleanliness issues inside and the bugs. Glad to hear that you enjoyed your stay and had a nice time. We look forward to seeing you again on Kiawah! This is the second year our group of 4 couples has met at this property. We love the decor, the porch, the pool, and the location. We loved this home. It was spacious with 5 delightful bedrooms. My kids were particularly stoked about the double bunk beds. The pool was indispensable, definitely opt in for the heated option. The kitchen was huge and perfect for cooking family meals. And I highly recommend picking up a log at the grocery for a fire in the screened porch. We will return. Hi Hailey, We are glad to hear you enjoyed your visit. We're sorry if this was overlooked in the rental agreement but in our vacation rentals, fireplaces are not intended for guest use due to safety issues and property owner’s insurance. Again, we're glad you enjoyed this beautiful home and would love to host your return visit! Great location and a wonderful house. We loved the house and heated pool. We would definitely rent again with you in the future. You guys always do a great job and I will use you again in the future. Just wish the inventory didn't fill up so quickly... summer is looking tough to find something. The house lived beautifully for a large family! Everyone had their own space to retreat and a great kitchen/pool area to gather. We really enjoyed our stay. The house was beautiful. We give it a 5! We had a fabulous stay in Kiawah. The weather was perfect for golf, biking and the beach. We absolutely loved the house. It was perfectly suited for three families. It was clean, comfortable and beautifully decorated. If we visit Kiawah again we would definitely choose this home again. This vacation rental was very lovely and quite spacious overall. It was wonderful for a relaxing beach/golf vacation. Beautifully furnished and very clean. It was perfect for couples on a vacation together. My favorite part of the home was the great deck and and screened porch with pool for group gathering. Kiawah has fantastic walking/biking trails, which was wonderful for those active vacationers like myself. Lots of great restaurants nearby at Freshfields Village and on Kiawah itself! Kiawah is close enough to Charleston for day trips, which we definitely took part in. I wouldn't hesitate to recommend to anyone. Thank you for your hospitality! We had a wonderful time and thoroughly enjoyed 20 Marsh Cottage Lane. The experience of renting through you has been a good one and we will be back next year! I would rate our experience as a definite 5! We found your staff to quickly respond to any question we had, and even went out of their way to help us retrieve a box of wine that was left in the house. We will definitely call on you again for any future Kiawah stays.